Food is one way the body receives energy. Whether you’re looking to heal, detoxify, or maintain balance, the choices you make matter. We merge modern day thinking with ancient wisdom by selecting foods with high alkaline properties, then raise the bar to include essence. The healing properties of foods go beyond their physical assets, such as vitamins, minerals, and calories, to their spiritual and energetic aspects. Each food carries a vibration or essence that resonates within the body at the Qi level. This level is where your deep healing begins and becomes sustainable. Essence is the true identity and capability of each food or herb. No matter how you change it—bake, broil, sauté, fry, grind, grill, or blend—its distinct energetic signature and the unique actions it can take remain unchanged. Once you understand this ancient wisdom, we think you will appreciate the amazing potential foods possess. It’s fascinating to see what happens to the foods you swallow. The Stomach receives food. Its main job is to process what you’ve eaten and partner with the Spleen to extract the nutritive essence. The Liver supports this process as well. This essence is then sent to the Lung, which distributes it to other organs to support their functions. For the digestive process to go smoothly, all these organs must have enough Qi or energy to perform their assigned tasks. Signs of digestive issues include bloating, constipation, loose stool, loss of appetite, excess gas, and food allergies. If the body can’t use the essence of foods, it can’t benefit from their physical properties. Since half of all breast cancers can be traced to a weak digestive system, we encourage you to keep your Stomach function healthy. Start by avoiding foods with a cold essence. Your Stomach operates best when foods are warm or at room temperature, including water. Here are some basic guidelines for your daily diet. Steer clear of ice in your drinks. Pass on raw salads. Or if you must have a cup of tea with your salad. No juicing first thing in the morning. No juicing of raw vegetables. Include warm foods like hot cereals and soups. Eliminate processed foods completely or as much as possible (canned, packaged, or frozen). Maximize your intake of natural and organic foods, especially fresh fruits and vegetables. Eliminate or focus much less on sugar, processed grains, meats, and dairy. One rule of thumb that deserves extra attention is, do not eat raw veggies, even juiced. 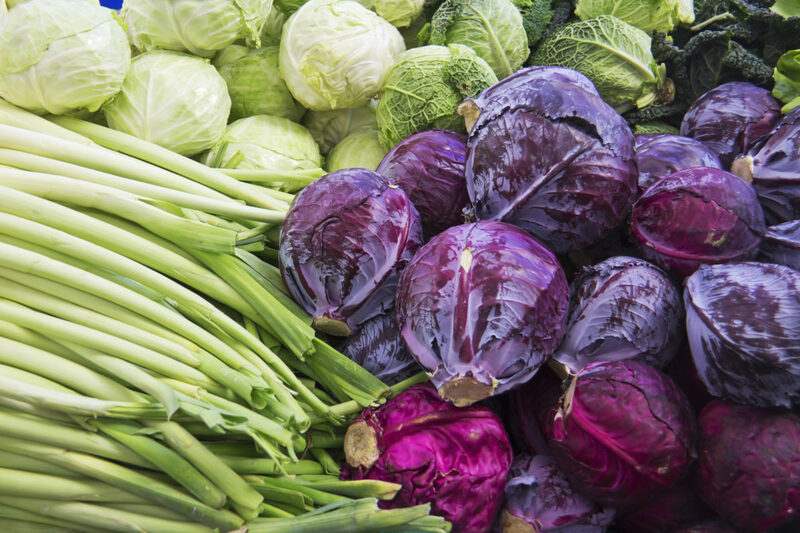 Digesting raw vegetables requires the Stomach to expend more energy—energy you need for health and healing. It also creates a condition known as internal cold. Vegetables are best eaten steamed, baked, or lightly sautéed. Fruit is fine in its original state. Many common foods are Qi powerhouses. They help detoxify the body, expelling “internal cold,” a precondition of breast cancer. Go beyond what you eat and consider how you eat. Eating in an unhealthy manner can disrupt the normal functioning of your Stomach. Since half of all breast cancers are caused in part by a Stomach function disorder, it is essential to keep this organ happy and healthy. Eat larger meals earlier in the day. Don’t eat late at night. Allow your digestive system time to work and rest. Eat until you feel satisfied, but not full. Digestion uses a lot of Qi. Save that Qi for healing. Don’t work or multitask while eating. Enjoy your meal in a relaxed environment. No raw salads or vegetables. Drink lots of tea and soup. If you’re undergoing chemotherapy or radiation, eat small meals more frequently and avoid charred and deep-fried food. In the body, blood and Qi are inseparable and travel together. Surgery often causes patients to lose a lot of blood and Qi, which must be replaced. It’s essential to prepare for this situation. If you are about to undergo breast cancer surgery (or any surgery), eat as much spinach and red beets as you can at least two weeks before the operation. These foods can help increase blood volume. Seafood, especially shrimp, lobster, clams, oysters, and mussels are also excellent additions to pre-surgery meals because they strengthen Kidney energy. Any type of soup stock made from bone (for example, beef stock) can also help increase blood volume and strengthen the overall immune system. Chemotherapy and radiation treatments take a big toll on the body’s energy systems, and the digestive system is one of the most vulnerable. That’s why patients often experience nausea, appetite loss, and Qi deficiency. The second area impacted is Kidney function. Signs of distress are hair loss, bone aches, chills, diarrhea, joint pain, and fatigue. During treatments, eat mostly fresh fruit and lightly cooked vegetables, especially almonds, carrots, dandelion greens, kiwis, and pears. Each has a unique ability to help detoxify the body and reduce excess heat caused by these treatments. Place all ingredients in a pot of water (about 2 quarts) and let the tea steep for 15 minutes; drink hot, two times per day while symptoms are present. Relief from Nausea, Diarrhea, and Lack of Appetite. 1/2 cup of Chinese red dates. Put all ingredients in one pot, cover with about 5 cups of water. Once the mixture boils, lower it to a simmer and cook for about an hour or until the barley is soft but not mushy. Feel free to add cinnamon or berries. Enjoy as a warm breakfast food or any other meal. Add ingredients to water in a pot and bring to a boil; add brown sugar and drink hot. Place dandelion greens in a bowl and smash them to a pulp. Add a little bit of olive oil and mix. Apply to skin sores daily. Place all ingredients in a large pot and simmer for about 20 minutes. Strain juice and drink throughout the day. Enjoy the cooked pears separately. Rinse one bunch of organic dandelion leaves. Add to a 1/2 gallon of boiling water. Allow the leaves to simmer for 20 minutes. Strain and drink throughout the day. Watermelon-An easy and delicious detoxifyer! Grind ingredients together in a blender. Cook in a double boiler or steam for one hour. After cooking, refrigerate. Eat two tablespoons in the morning and two in the evening.